The 3-star Mercure Hotel Bad Oeynhausen City is in a convenient, city-center location, just 547 yards from the train station. Our 57 cozy rooms all have free WIFI. The GOP Varieté Theater, Adiamo Dance Club and the Bali Therme spa, which is perfect for relaxing and swimming, are all within walking distance. Our meeting room has WIFI and a 65-inch flat screen, making it ideal for your event of up to 20 people. Hannover Airport is 40.4 miles away - take the A2 and A30 highways if traveling by car. 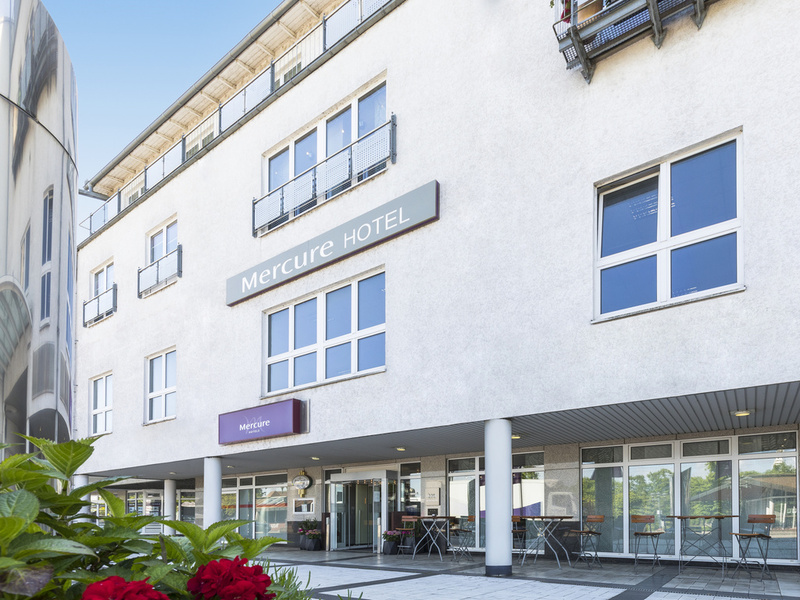 The 3-star Mercure Hotel Bad Oeynhausen City has 57 Standard Rooms with double bed, with smoking and non-smoking rooms available according to your preference. We also have 2 rooms suitable for guests with reduced mobility. All rooms have free WIFI access. One child aged up to 16 can stay in your room free of charge. Your pet is also welcome (charge of EUR 7/night). The "Wunderbar" is decorated in a modern style and offers seating for 20 people. We are happy to serve you drinks on our sunny terrace. The bar is open daily from 6pm until 2am.